Active Water Solutions specializes in the treatment of wastewater for rural areas, distributed networks, and reuse applications. By focusing on low ﬂow (less than 500,000 gpd) AWS is able to provide packaged, containerized and mobile systems for a variety of applications and environments including Forward Operating Bases, Rural Developments and a variety of DOD facilities. AWS systems are easy to install, operate and maintain. The systems utilize cutting-edge wastewater treatment technologies to ensure a solution that is long-lasting, economical, and exceeds effluent standards. The systems are engineered for plug-and-play-type installation and easy O&M. The more efficient alternative to activated sludge systems is here. The AWS Submerged Fixed-Bed Biofilm Reactor (SFBBR) technology eliminates the need for the Return Activated Sludge (RAS) component of your treatment system, reduces sludge production and simplifies basic operation. SFBBR reduces both the system’s physical footprint and the regular required maintenance. If you’re looking for a more stable environment for bacteria that resists washouts, shock loading, electrical blackouts and increases overall treatment effectiveness, you will find SFBBR to be the most durable treatment system. Moving Bed Bioﬁlm Reactors (MBBR) oﬀer many of the same characteristics of an SFBBR system as both rely on an attached growth media. As the name suggests, MBBR media is not attached within the aeration basin but instead is free to ﬂoat with the ﬂow of water and air. MBBR offers the greatest surface area loading of biological processes with energy-saving configurations available. These systems are best used for high BOD loading, and to reduce the footprint as low as possible. A time-tested system frequently used in the wastewater treatment industry is the Membrane Bioreactor (MBR), a hybrid technology using both biological and physical separation via membranes to treat influent wastewater to project requirements. Our systems come in a variety of packaging options, engineered to best serve your project and its spatial considerations. For ease of shipping, lower cost of production, protection from the environment, and odor and noise reduction, AWS provides systems built inside standard ISO shipping containers. We also offer skid-mounted, partially buried and above-ground packages utilizing your choice of: HDPE, FRP, concrete and steel. Lastly, we can construct systems in trailers for mobile or frequently moved applications. AWS sources the finest materials to construct our systems to guarantee that they are built to last. Our coated and protected steel is tested to last over 30 years. The High-Density Polyethylene (HDPE) and FRP used in our systems is lightweight, corrosion resistant, easily insulated against cold or heat, and will last for decades above or below ground. For our smallest systems, we utilize high-grade plastics that are lightweight and easily maneuverable. There is a critical need to provide soldiers with healthy, sanitary places to live while protecting the local environment when deployed overseas. Wastewater treatment is a key component of keeping our military men and women safe. If wastewater is mismanaged during the establishment, operation or closing of our base camps, then the pollutants released may contaminate the groundwater — posing a health risk to our soldiers and the surrounding communities. Having WWTPs that are easy to setup, maintain and move, enables our troops to ensure the proper management of their wastewater. This, in turn, protects them and the surrounding communities from potential contamination. Active Water Solutions was engaged by the U.S. Army to design a wastewater treatment plant (WWTP) that treats 35,000 gallons of domestic wastewater per day, is easy to operate and maintain and is robust. Additionally, this plant was custom designed to be scalable so that it could be deployed to bases of different sizes. 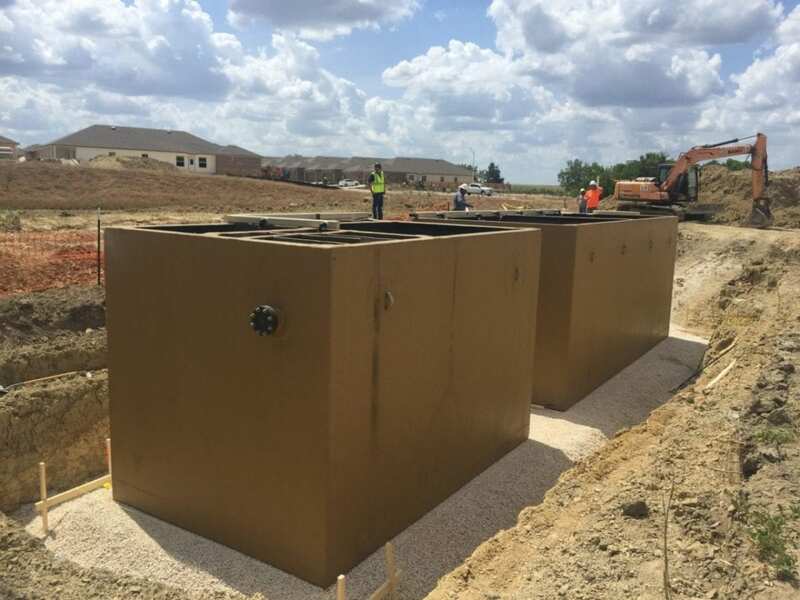 This most recent installation of these AWS custom WWTPs entails a combination of six plants used together to accommodate up to 5,500 soldiers and contractors on a base in Iraq. The plants are also individually packaged inside 40-foot ISO shipping containers to allow for quick, efficient and low-cost transportation. The military is designed to respond quickly on the battlefield, which requires equipment that can be easily installed, started, operated and maintained. AWS created a WWTP that meets all those requirements; enabling our troops and support personnel to easily and effectively protect themselves and the areas in which they operate. This robust system that is easy to operate, maintain, install and transport, is just what Uncle Sam ordered. The AWS technology was designed around sustainability, effectiveness, and user convenience. 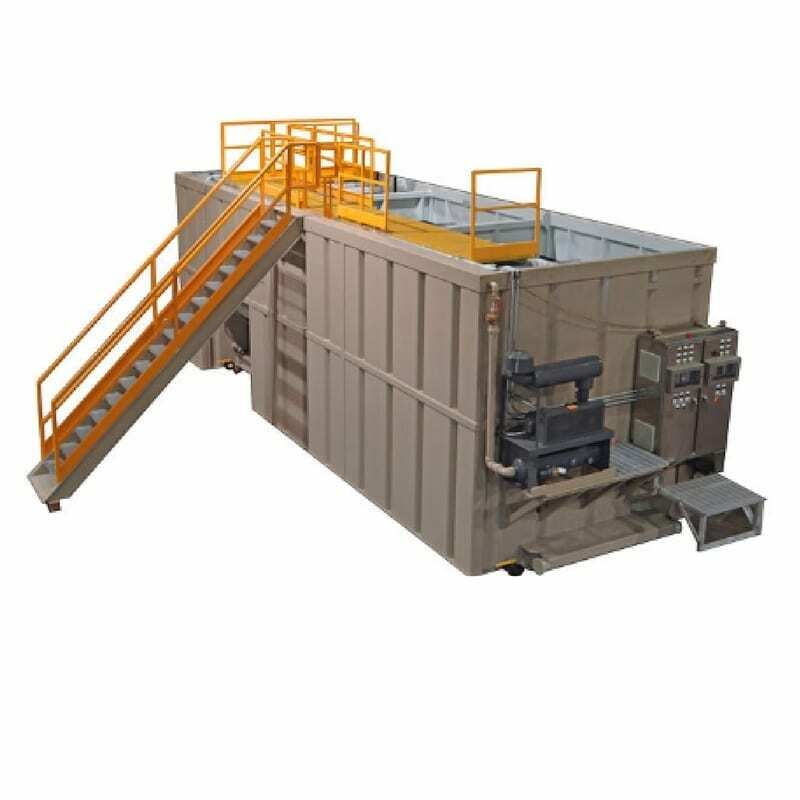 With no return activated sludge or mechanized clarifiers needed in most applications, AWS units are not only easier to operate, but are also far less susceptible to mechanical issues. The systems are a scalable and deployable solution with wide-reaching military and emergency applications. Contact AWS today to learn more about their transportable advanced wastewater treatment systems at www.activewatersolutions.com.